Next semester I will be teaching a class on Modern Japan (Meiji to the present) and I was thinking of having them watch some films. I am guessing this will be done by making a short list of 10-12 films, showing one or two as a group, and having them watch and present on one or two others.1 Part of the problem with that is while I have some great ideas, there are lots of gaps in coverage. So I thought I would ask you all for some advice. Here is what I have now. Bakumatsu EEEEEEEJIAAAANAAAAIIIIKAAAAA! One of the films that made me think about doing this in the first place. This is a good film on the social chaos of Bakumatsu Japan. One I think we will watch together. Meiji Then…some other stuff. Sadly I have not seen Ah! Nomugi toge (Oh! The Nomugi Pass) but I guess that should go here and….then what? What are some good Meiji into Taisho films? I really need something on Korea or Taiwan, and the more colonial colonial bits. What would be good? War Well, this is clearly important. I figure the new Eternal Zero movie will be one, since it brings up all the issues of war memory. 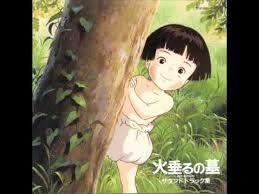 Then Grave of the Fireflies. It’s an animated movie, so it will not be a downer like so many war movies. One of these two will probably be another one that we will watch together. 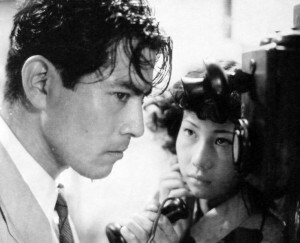 For postwar/Occupation Stray Dog seem good for this, Maybe use Stray Dog as a movie to watch together, since while they may not know much about postwar Japan they should be able to deal with a cop buddy movie. I am probably missing a lot here. Maybe God Speed You Black Emperor? The boom years Taxing Woman’s Return Since I don’ t have enough comedies and I like the movie. If you want a parody of every bit of corruption in Japan in the 80s, this is it. I probably need something here. Probably some Anime too. You can sort of see my problem from this list of films I don’t have a lot of good historical films before 1945, things like Eijianaika that are good as movies and also do a good job with a period. After 1945 there are quite a few “contemporary” films they can use. I will probably have some students who are pretty serious film buffs, and could do a nice class presentation on, say, Momontaro’s Divine Sea Warriors. What I really need are more movies that are fun to watch and help you think about history without requiring you to know much about film or to be willing to sit through a silent movie. If you were picking out two or three good films for this class, what would they be? For my next impression, Josephine Owens! Foreign relations through Weiqi/Go. Iirc one of the first Japanese/Mainland Chinese co-productions. I never used a lot of films, mostly because I never watched a lot of films. It’s even less likely now that a lot of my upper division courses are online; still haven’t figured out how to watch a movie that isn’t free on youtube without requiring a netflix subscription. I’ve been using “Twilight Samurai” for late-Edo, bakumatsu, though. It’s kind of sentimental, but covers some really good low-rank samurai social reality. And I adore the Taxing Woman movies; really any of Itami’s stuff (Except for that Ramen movie; I enjoyed that, but it’s a lousy introduction to anything about Japanese culture) is good (the one about the supermarket is particularly nice for a look at the physical realities of daily life). As for how to show them, since this is a regular class I just put the DVDs on reserve (That is a separate budget, so most years I can buy as many as I want) and then they watch them in the library. Or they watch them “on-line” which means that they watch it using their own Netflix or Hulu or whatever subscription. -Gina Anne Tam Hafu is interesting for contemporary years, and black rain for postwar. -Kristin Troilo How about Kwaidan? I think for a war narrative you’d have to find a fan translation, but the nhk did a documovie about Mizuki Shigeru’s experience during the war and it’s a good partner to grave since you get a view of those outside the military (though his dad was a naval officer) and those inside it. -Kristin Troilo I suppose Kwaidan is too early though. Millennium Actress (Satoshi Kon) is another good one for Taisho onwards though.